Eastern Florida Panhandle: Jefferson, Madison and Taylor County Eastern Florida Panhandle: Jefferson, Madison and Taylor County U-Pick farms: Find a pick your own farm near you in Eastern Florida Panhandle: Jefferson, Madison and Taylor County for fruit, vegetables, pumpkins, organic foods,local produce and more! 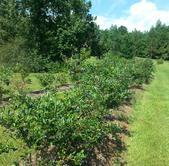 Looking for a local, pick-your-own farm in Eastern Florida Panhandle: Jefferson, Madison and Taylor County? Scroll down this page and you will see the U-Pick farms in Eastern Florida Panhandle: Jefferson, Madison and Taylor County, sorted by county. Those that offer organic or sustainably grown produce are identified by the words "organic" and/or "sustainable" in Green, next to their name (see "What does Organic mean?"). The U-pick crops they offer follow the name of the farm. To search the page for a specific crop, use Ctrl-F (or on an ipad or Mac, use their "search on this page" function) If they have a website, the name will be in blue and underlined; click on it and it will open their website. If you find anything outdated or inaccurate, see the customer and farmer menus (as appropriate) at the top menu bar to submit updates and corrections and help me keep each current! 1959 Freeman Road, Monticello, FL 32344. Phone: 850-997-0119. Alternate Phone: 850-519-0092. Email: [email protected]. Open: Saturday 8:00 to 6:00pm. Directions: Approximately 2 miles south of I 10 highway on the Georgia Florida parkway. Turn right on Freeman Road go almost 2 miles till; turn left into the driveway, follow the fence, turn left into our farm, then honk or come to the door. Click here for a map and directions. Payment: Cash, only. We grow vegetables for all seasons. you might want to call to make sure we have what you would like. Comments from a visitor on January 14, 2012: "I visited A & B Produce today. The owners were very friendly and helpful and provided great information on when various vegetables I was interested in would be ready. It was very easy to find. I will definitely visit them again. " Comments from a visitor on June 04, 2011: "Nice, small. Yummy blueberry ice cream." 1171 Barnes Road, Monticello, FL 32344. Phone: 850-997-2153. ALternate phone: 850-997-0488. Call before coming to the farm! 332 N.E. Chamomile Way, Madison, Fl. Phone: (850) 973-8592. Open: May through August. Route 2, Box 571, Madison, FL 32340. Phone: 850-973-8592. Open: May-July, Monday to Saturday, 8-6pm, Directions: Off CR 254 and Route 145 N of Madison. 607 SW Debary Way, Greenville, FL 32331. Phone: 850-948-4816. Email: [email protected]. Open: Call for for hours and availability. Directions: Call for directions. Payment: Cash, only. May also be spelled: "Prisilla's Produce". Comments from a visitor on June 17, 2010: "Very nice and people were friendly. This used to be part of Tuten's U-Pick in Madison also. Right down the road from them. 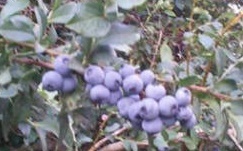 They have blueberries and zipper peas to be picked right now. She also has onions and peaches you can buy from her stand. Mrs Priscilla told me that in late October she will have crops that will consist of Kale, Spinach, Carrots, Tomatoes and more., "
Comments from a visitor on June 17, 2010: "My daughters and a few friends and I just went to this one today. It is just over our county line in Madison County. People were very friendly and they have reasonable prices. We picked tomatoes to our hearts content. Only $7 for a 5 gallon bucket full! Great place to go!" No PYO farms or orchards in this county.